A high school biology teacher at NABT checking out the Black Box activity from Biology in a Box. 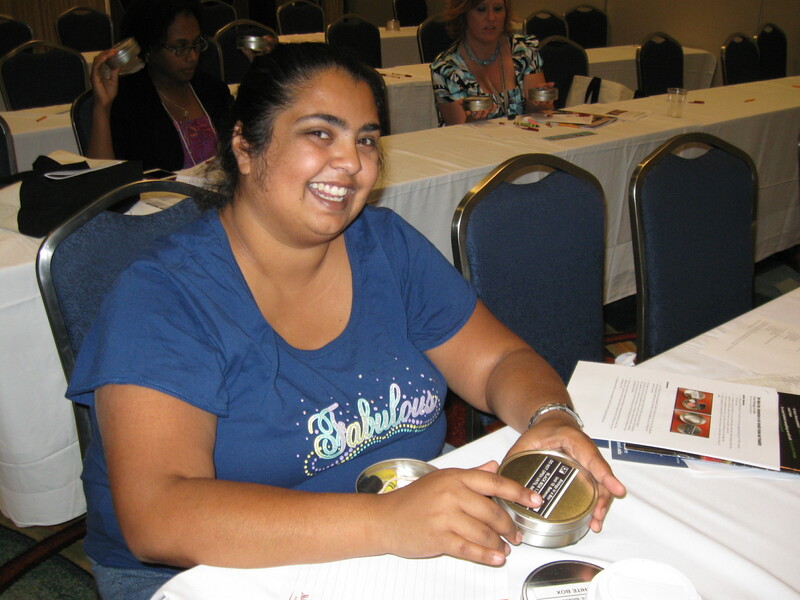 High school and junior high biology teachers tried out classroom activities combining math and life science learning last week at the National Association of Biology Teachers (NABT) conference in Anaheim, CA in a session organized by NIMBioS. Kelly Sturner, NIMBioS education and outreach coordinator, led the session titled Biology by Numbers from Biology in a Box, where she presented “The Black Box: Introduction to the Scientific Method and Probability,” “It’s in Your Genes, the Counting Principle and Tree Diagrams” and “Forest Pests: Beetle Attack!”. All three activities were borrowed from K-12 education outreach program Biology in a Box activity booklets (available free to download on the web here) and require only a few easy to find and inexpensive materials. If you or anyone you know might be interested in a copy of any of these activities as presented at NABT, contact Kelly Sturner at ksturner@nimbios.org. This entry was posted in Education/Outreach, STEM and tagged Education/Outreach, STEM, teachers. Bookmark the permalink.